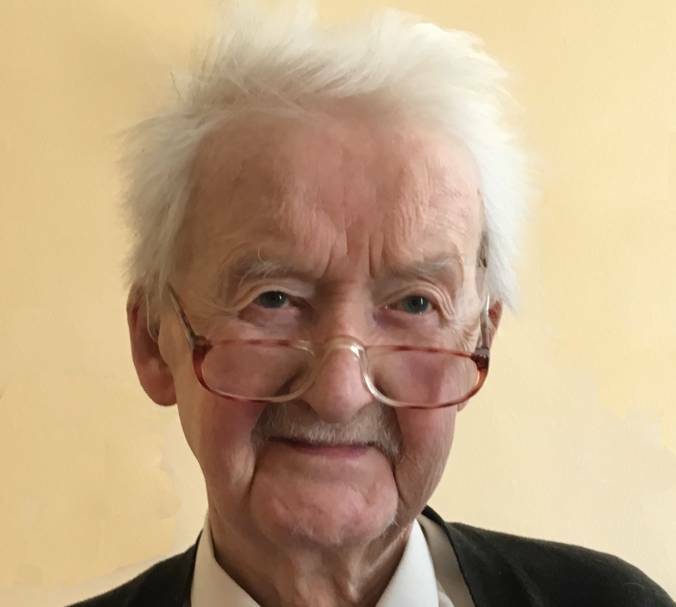 The Survey is organising a memorial event celebrating Randolph's life and work, which will be held on July 9, 2019 at the British Academy in London. As an undergraduate in the early 60s, I had relied on a key text - Quirk and Wrenn 'An Old English Grammar' - in my Anglo Saxon classes. I had imagined that the authors were two old white haired professors, but in September 1965 I found out this was not true. I was in Paris at the Sorbonne, undergoing an orientation course for students going on to be English assistants in French lycées, usually as part of a Modern Languages degree. One morning, I attended a lecture on the English Language given by Professor Gimson of UCL. It was an epiphanous experience. At the end of the lecture, I walked down to the front and asked Professor Gimson what the name of this new subject was. "Linguistics", he told me. "Where can I study it?" I asked. "UCL", he said. "Do the MA with Randolph Quirk". So I applied, and started the course at UCL in September 1967. I shall always be grateful to Quirk as I should have started the MA in 1966 but found out I was pregnant in February of that year. I was very anxious that I might have lost my chance to study linguistics with him, but when I went to see him, he just said "so are you having a baby?". I was taken aback - in Oxford, my tutors seemed to inhabit an ascetic realm where babies and relationships did not exist. He just said I should come back the following year, and made no fuss about it, as if unmarried but pregnant would-be linguists were something he could take in his stride! The best thing about the MA course was Quirk's postgraduate seminar on Thursday afternoons. He never had any notes. He just stood at the front of the seminar room and talked about language, in all its aspects. It was mesmerising and is still vivid in my memory. Eventually we had to take part, and took it in turn to present an account of a particular area of grammar (mine focused on prenominal modification in the noun phrase). After doing the MA, I worked on the Survey of English Usage. One of the best thing about working at the Survey was the routine of going to Quirk's office for coffee at mid morning, where there was always lively conversation about language. He had a blackboard on the office wall and contemporary words and phrases or unusual usages would be written up there for discussion. Note: This page is an archived version of the Quirk memorial page on the Survey of English Usage blog, where you can add your own tribute. This page last modified 7 February, 2019 by Survey Web Administrator.